PropertECO specialises in reducing harmful levels of radon gas in buildings. As a provider of radon test kits and designer/installer of radon mitigation systems, the team at propertECO are able to advise on all aspects of indoor radon exposure. With over 25 years’ of technical knowledge and practical experience in the field of radon, propertECO are at the forefront of the UK radon industry. In recent years there have been significant technological advances both in methods for testing and remediating high levels of radon. PropertECO constantly searches out such innovations from around the world and has been responsible for bringing several new techniques to the UK. Every radon remediation system design is tailored to suit each individual building and propertECO have successfully remediated buildings of all types and sizes. Our clients include private homeowners, Local Authorities, high street retailers and financial institutions and multinational corporations. PropertECO are founder members of both the UK Radon Association and the European Radon Association and are one of the only non-North American members of the American Association of Radon Scientists and Technologists, an organisation with rigorous training and quality criteria. As part of Timberwise who are specialists in property care and preservation, propertECO can also offer clients access to a full range of specialist property preservation services, such as basement waterproofing, damp proofing and timber preservation. 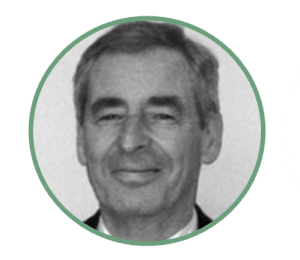 Martin has been a leader in the UK radon field for over 25 years, since he initiated an industry technical and self-regulatory body in the early 1990s. He is the current Chairman of the UK Radon Association and sits on the Executive Committee of the European Radon Association. Martin’s practical experience in the design and implementation of radon remediation systems is unrivalled and he has been tasked with reducing high concentrations of radon in many complex buildings. With a strong personal interest in reducing radon-induced lung cancer, Martin has fought for many years for the hazard to receive more attention amongst Government, building professionals and the general public. Martin regularly represents the UK at international conferences and workshops, where he has presented a number of papers, and has been involved in policy consultations with some of the world’s leading specialists in the field. He is a regular CPD speaker for professional bodies including RICS and RIBA. Prior to co-founding propertECO in 2011, Martin worked in senior management roles at several regional and national contracting firms and owned a laboratory consultancy specialising in the resolution of disputes involving bio-deterioration of timber and causes of dampness in buildings. He has been involved in the innovation of numerous property preservation techniques including the development of water-based wood preservatives and the development of a system to overcome the conflict between basement waterproofing and radon management. Martin has an international client base who call on his expertise for a wide range of property preservation issues, and offers a consultancy service to those seeking an accurate diagnosis of the root cause of an issue. Rebecca co-founded propertECO alongside Martin in 2011 having identified a need in the UK marketplace for a specialist radon services firm. With a First Class Honours degree in BSc. Business Administration from the internationally recognised University of Bath School of Management, Rebecca has spent the last seven years since graduating immersed in the field of radon, identifying ways to increase awareness and reduce radon-induced lung cancer in the UK. Rebecca specialises in risk communication and has become one of the UK’s leading educators on the subject of radon. She delivers technical CPD seminars for members of RICS (Royal Institute of Chartered Surveyors), RIBA (Royal Institute of British Architects), CIOB (Chartered Institute of Building), BIFM (British Institute of Facilites Management) and ABE (Association of Building Engineers) as well as providing in-house training for private practices. Rebecca identifies the most appropriate channels for communicating with different sectors, and is a keen advocate of social media. She was invited to speak at the 2014 International Radon Symposium in the USA to share her experience of risk communication, and has published papers on the subject. Rebecca also runs propertECO’s radon testing facility and co-ordinates workplace radon test programmes for national clients with large property portfolios. 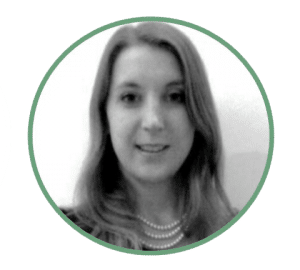 Rebecca is on the Board of the UK Radon Association and the Executive Committee of the European Radon Association, where she advises on marketing and outreach policies to improve awareness of radon internationally.